As part of the Israeli Apartheid Week 2019, we call for a rally and march under the motto “Stop Arming Colonialism.“ It will begin at the US embassy and take us to the embassy of the Israeli apartheid state. Regardless of which administration is charge, the USA has long been and continues to be the power that arms Israel politically and ideologically, which in practical terms means giving US aid and protection as Israel carries out its expansion and annexation policies. Moreover, the EU and its member states by-and-large tolerate Israel’s violations of international law. On Saturday March 23rd, we want to express our solidarity with the people of Gaza, al-Khalil, al-Quds, Nablus, Jenin, Haifa and Akko loudly and clearly. 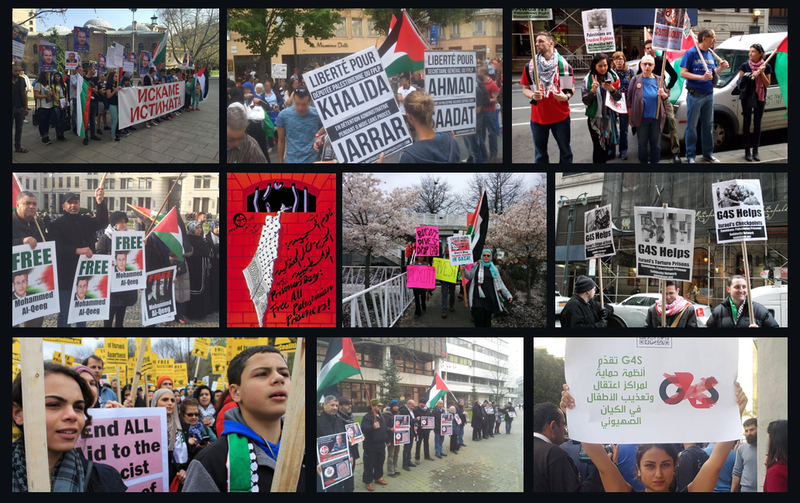 Im Rahmen der Israeli Apartheid Week 2019 rufen wir unter dem Motto „Stop Arming Colonialism“ zur Demonstration auf, die uns von der Botschaft der USA zur Botschaft des israelischen Apartheidstaates führt. Die USA waren und sind – unabhängig der jeweiligen Administration – diejenige Macht, die Israel ideologisch und politisch „bewaffnet“, was konkret den Schutz Israels bei seiner Expansions- und Annektierungspolitik bedeutet. Jedoch wird das völkerrechtswidrige Agieren Israels von der EU und den Mitgliedsstatten weitgehend geduldet. An diesem Tag wollen wir auf der Straße unsere Solidarität mit den Menschen in Gaza, al-Khalil, al-Quds, Nablus, Jenin, Haifa und Akko laut und deutlich zum Ausdruck bringen.